Wayne D. Harwell, 76, husband of Lee Harwell entered into rest on January 16, 2019 surrounded by his family. The memorial service will be held at Warren Baptist Church Chapel where he was a member on Saturday 19, 2019 at 12:00 p.m. Visitation will begin at 11:00 a.m. The service will be officiated by Reverend Tony Henderson and Reverend Dave Dillard. Wayne was the son of John D. and Mattie S. Harwell. Mr. Harwell was a 1960 graduate of the Academy of Richmond County and a 1964 graduate of Lipscomb University where he was a member of Alpha Kappa Psi business fraternity. In 1987, he earned his Chartered Life Underwriter designation from the American College in Bryn Mawr, Pennsylvania. He was a retired insurance agent. 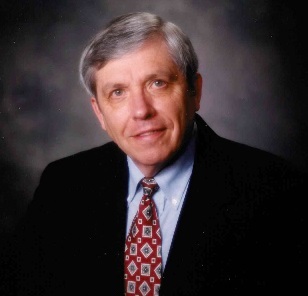 During his insurance career, he was a past president of the Augusta Association of Chartered Life Underwriters and a past member of the Augusta Association of Life Underwriters. He was an avid hunter, fisherman, and gardener. Wayne was a past member of the John S. Davidson Masonic Lodge, 32 Degree Mason, and a member of Alee Shrine Temple in Atlanta, Georgia. Additional survivors include a son, John W. Harwell (Tiffany), a daughter, Cheri H. Adams (Rob), stepdaughters Lorena M. Cole (Jesse), and Maxwell M. Dupuis (Shawn). Grandchildren include Hunter Harwell (Haley), Dawson Harwell, and Clark and Mary Kathryn Adams. Step grandchildren include Amanda and Sarah Cole, and Zach and Joah Dupuis. Mr. Harwell is also survived by great grandson, Finnley Harwell and Maltese, Katie. In lieu of flowers, please make memorial contributions to Warren Baptist Church.